It’s pretty rare when we, The Book Doctors, are reading the same book. Arielle tends to love books written by people who’ve been dead for several hundred years. Or doorstop-sized biographies, and giant non-fiction tomes about people doing bad things, like the brilliant book about Bernie Madoff, The Wizard of Lies. I tend to gravitate toward books with tragically flawed heroes and gorgeous mysterious dames who are never quite what they seem to be at first blush. I tend to like bullets, bombs, uncontrollable passions, epic gruesome one-of-a-kind murders. Raymond Chandler, Cloud Atlas, Game of Thrones. 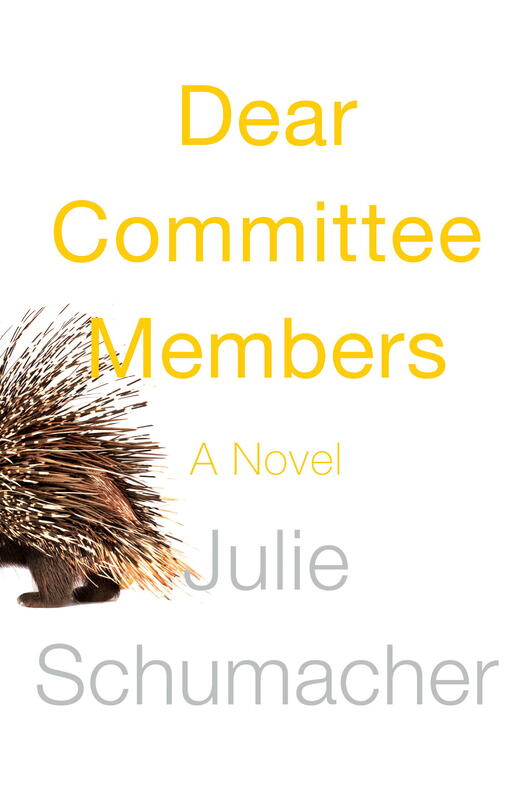 But we both absolutely adored Dear Committee Members by Julie Schumacher. We love it so much we’ve become evangelists for the book, telling everyone who will listen that they MUST read this novel. When you read it, you’ll find out why. So we decided we would interview Julie and see what she had to say for herself. ARIELLE: Because we edit books, we’re always interested in how a novel is constructed. Yours is one of the most brilliant constructions that we’ve ever seen! You’ve managed to write a novel that is made up solely of recommendation letters from a Professor of English at a University. It’s a brilliant high-concept idea, but it’s one that seems impossible to pull off before you read it. We were wondering how you conceived of the idea and how you constructed it? DAVID: That’s hilarious! So what happened next? JULIE: I was thinking about the idea and didn’t know if it would be feasible or doable. I told the idea to a colleague, and he said, “I hope you’re going to do that.” And I thought, well, maybe I could just give it a whirl. I realized pretty early on the two major challenges would be: One, how do you make the letters stick together? Where’s the narrative glue? And two, how do I portray my main character if he’s supposed to always be invisibly describing other people? He’s supposed to be behind the scenes as an author of these letters, rather than on stage. But I thought, having written a zillion letters myself, just finding them frustratingly dull and full of praise but also very boring at the same time that I could create a guy who would just insert himself all over the place. Talk about himself when he’s supposed to be talking about other people. I thought that could actually be good fun! ARIELLE: What were your next steps? JULIE: I decided to try to write a few pages a day and see if it went anywhere, and if it didn’t, I’d throw it away. I started it in the summer, and probably by the end of the summer I had a good piece of it done. And I was having the time of my life writing it. I loved writing this book. I had so much fun. Writing is not always a good time, you know? But this was a great time. ARIELLE: Did you already have an agent? And if so, at what point did you talk about the idea or send some pages, and what was his or her reaction? JULIE: Yeah, I do. I’d been trying to get her to sell a collection of short stories, and she was giving me the big yawn. DAVID: Yeah, good luck with that. You had already written a number of books that had sold, right? ARIELLE: And did you pitch her the idea over the phone or an email before sending her the manuscript? JULIE: No, no, I didn’t. ARIELLE: David and I both heard Maureen Corrigan review your book on Fresh Air while driving and we were both so intrigued we went out and bought the book. DAVID: It was an incredible review. It was basically a letter of recommendation for your book! DAVID: One of the things I love about the book is the way that we watch not only the Creative Writing department, but this man himself, deteriorate through the course of these letters. Was this a conscious decision, or did that just come about as the book went forward? DAVID: We won’t give away what happens. I’ll just say, poor schmuck! DAVID: Well, you just gave it away! ARIELLE: Wait, so you sold this on half a novel?! ARIELLE: That’s wonderful and very unusual. How did the editor influence what you ended up writing in the second half? DAVID: Had you worked with this editor before? JULIE: No. So it was kind of nerve-wracking. ARIELLE: So what happened? It was sent as an exclusive? JULIE: No, she sent it to four or five places. I think one or two of them thought about it and passed. And there were two that did want it at the end. Doubleday was one. And I talked to both editors. That had never happened to me before. It was terrific. ARIELLE: Who was your editor? JULIE: Yeah it was really lucky. But again, I didn’t know him at all. And I had never met him. And I was kind of nervous as I was finishing this thing. But it turned out to be a really good editing relationship. DAVID: Fitger’s character is so unlikeable in certain ways. He’s a liar. He’s petty. He’s narcissistic. But in the end, you kind of end up loving the guy because his heart seems to be in the right place in many ways. JULIE: I definitely see him that way. I know there’s been a few people who’ve read it who clearly see him as a 100 percent curmudgeon. Just a jerk. They would want to avoid him. But no! He’s sorely lacking in diplomatic skills, and tact, and some common sense. But he cares about things people in the arts care about. And he does care about his students. And I think any shift at the end is demonstrated in the fact that he does start to recognize that he’s not done right by Darren. And he should have said to him early on, “Bad idea. It’s a bad book.” And he didn’t. He was selfishly advocating for Darren in part because it was sort of a vicarious relationship, and selfishly he wanted his program to live on, and Darren’s his last chance. JULIE: I think that’s really hard. In the past, I think it was the second story I ever published, I was 28, 29 years old, and had a really bad experience where an editor just ran roughshod over my story in a way I thought was offensive. And in retrospect, I think I should have just said, “No, you can’t do that to my story.” But you know, I was 28, I really wanted a credit and something on my resume, and I let him screw with my work. I think right now, I’d say, “I’m taking it back.” But back then, I didn’t have the wherewithal to do it. But most of the time, everything other than that one story, I’ve had really good experiences with editors. In the kid-book world, the editorial hand is extremely heavy. I think I’m not the only one who’s found that. You send in your completed manuscript and feel very happy about it, and they say, “Oh, we still like your book. We’re so excited!” And then they send you a 12 or 15 page letter. “Here are the things we’re really excited to see you do.” So those were sometimes excruciating to receive, and I would get snarly and defensive and take long walks for a few days, and then would realize, well, they were right. Ninety percent of the time, I was just going to do what they asked. ARIELLE: Gerry Howard is a guy with best-sellers longer than both of his arms. What, in that case — I’m sure you agreed to many of the changes that he made — but what was it in the places you did say no, that made you say no? JULIE: The only one that was of consequence was his desire for somebody to write a letter for Fitger at the end. He pressed on that and pressed on that, but when I suggested a compromise, and wrote it in, he said fine. DAVID: But killing off Darren is also a huge thing. JULIE: Yeah, and he did not like that idea. But once I sent him the completed manuscript, he went, “Oh okay. I see what you want to do. That makes sense.” When I talked to him on the phone after he was thinking about buying it based on the first pass, he said to me, “I’m a reasonable person. I’m not going to ask you to do things to your book that you think are going to ruin it. We’ll be able to talk about ideas. We’ll bat things back and forth. I want you to be able to trust me.” He was great. ARIELLE: So, Professor Fitger is very helpful to his students who want to get their books published. But we’ve found that, typically, there’s a lack of education, or even just snobbery, by academic and MFA programs about how to get published. I’m wondering how you prepare your students for the very harsh realities of today’s publishing world. JULIE: I don’t know. I haven’t found any snobbery. I’ve certainly found among creative writing faculty people who say, “Let’s bring editors and agents in here, let’s help with the professional life of the writer.” And on the other hand, some faculty who say, “Let’s create a more sheltered environment in which people can purely work on their writing, and worry about publishing, et cetera, later. Now is not the time to be thinking of marketplace issues. Now is the time to be writing. Let’s consider this a sort of retreat.” I understand both those points of view. I think some programs in particular, Iowa and Columbia – Iowa because it’s Iowa, Columbia because it’s in New York – are very good at bringing in agents, editors, et cetera, to look over people’s work. I’ve certainly had students who, when we have occasionally brought in editors to the U of M, say, “I don’t want to meet with them. I’m busy on my novel. I can’t do that right now.” Which I totally respect. ARIELLE: And do you, for example, teach people how to write a proper query letter? Or do you give wisdom from your own experience of having books published? As we all know, you can have a perfect book that doesn’t get published. JULIE: Yeah, definitely. I don’t teach to a whole group of people how to write a query letter. Or here’s how to find an agent. Here’s how to self-publish. I would say on a more individual basis, “This book is on its way to being terrific. I don’t think it’s there yet. I don’t think you’re going to profit by sending it out right now. I think you need more time.” In the rare case where people are ready to sell something while they’re still a student, I and other faculty will try to hook them up with an agent. ARIELLE: You do? Oh, that’s great! DAVID: And how did you make the leap from writing for adults to writing for kids? Did you find it a difficult transition, or what? JULIE: For me it wasn’t hard at all because the short stories I had been writing, and many of which were in my first book of short stories — first and only so far!– were about parents and kids and families. A bunch of them had child narrators. It felt to me like a small or relatively subtle shift to go from writing about children for an adult audience to writing about children for a younger audience. I think in Kid Lit there’s a greater directness in plot and structure, and a greater emphasis on, y’know, what happens next. JULIE: Yeah. I had started working on the first kid book I wrote, and realized I am not good at plot. I really needed to teach myself how to do it. Again, my own kids were young. I was reading aloud to them, reading E.B. White. I must’ve reread Charlotte’s Web ten times. My kids love that book. I thought, here’s a plot, clicking into place like little Lego pieces. A leads to B leads to C. I’m going to teach myself how to do this. I’m going to learn cause-and-effect in narrative. And I’m going to build a book. And I very, almost mechanically, outlined a book. Conflicts would start on page one. There’s a mother and a daughter disagreeing. Each chapter was going to be 8 to 10 pages long. There were going to be fifteen chapters. I thought, “It’s probably not going to be any good. I’ll probably just toss it away. But I’ll learn something!” And at the end of the year, I had written a book, and I really liked it! Then I kind of fooled myself into thinking it will be so easy writing children’s books, y’know? Every new project refuses to cooperate in its own unique way. ARIELLE: We saw that you’re teaching a course on the child narrator. And you sort of answered this question, but we’re curious about, for you, what separates YA from adult fiction if you have a child narrator? Prep, for example, was published as adult fiction. JULIE: I think that’s a really interesting question. I taught a class on child narrators. Again, I think it’s a matter of emphasis. You would read something like Push by Sapphire and simply because of the subject matter, the sexual violence, you would decide, not for a kid. But The Curious Incident of a Dog in the Nighttime was published in Britain in two simultaneous editions with two different covers. One for kids, one for adults. Same book. In the U.S, for whatever marketing reasons, it was decided that it was for adults, but eventually kids started reading it anyway. There’s this whole crossover phenomenon. To me, typically, the hallmarks of a kid book are a greater directness, in plot and structure on the one hand, and maybe in the emotions on the other. I just reread The Yearling. I haven’t read it in ages, and it’s a beautiful thing. There’s nothing in that book that would not satisfy an adult reader. But it’s not as subtle, emotionally. As an adult you can feel that your emotions are about to be worked on in a particular way, but it’s no less beautiful or literary for that. DAVID: We hate to ask you this, but what advice do you have for writers? JULIE: Oh, persistence. I just think persistence is key. At some point, in the dark of the night, you ask yourself, “Am I more foolish for continuing along this path and hoping, or would I be more foolish for giving up?” You don’t know sometimes. DAVID: Yeah, there is an element of blind faith, isn’t there? JULIE: Yeah. It is about blind faith, and believing in yourself. I think part of that is you want to believe in yourself not because you are sure that vast success is on its way, but you’re sure that this matters to you. And that it will offer you some reward even at its most frustrating. There will still be something in it for you. Julie Schumacher graduated from Oberlin College and Cornell University. Her first published story, “Reunion,” written to fulfill an undergraduate writing assignment (“tell a family tale”) was reprinted in The Best American Short Stories 1983. Subsequent stories were published in The Atlantic, MS, Minnesota Monthly, and Prize Stories: The O. Henry Awards 1990 and 1996. 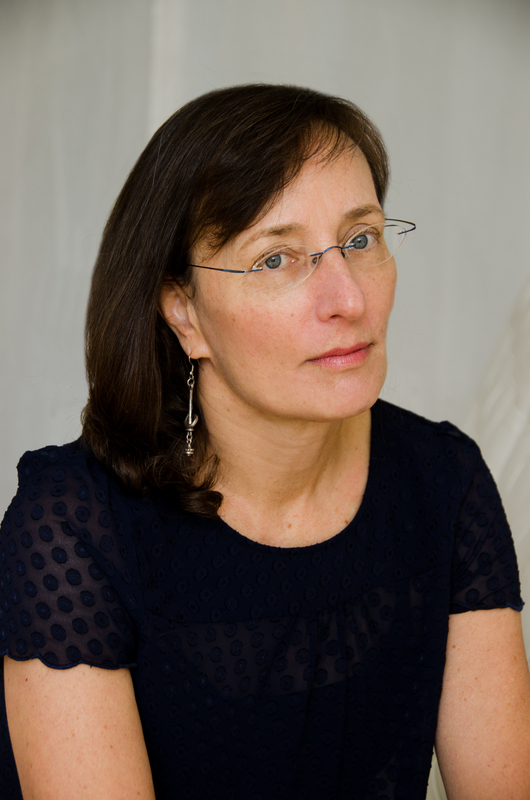 Her first novel, The Body Is Water, was published by Soho Press in 1995 and was an ALA Notable Book of the Year and a finalist for the PEN/Hemingway Award and the Minnesota Book Award. Her other books include Dear Committee Members, An Explanation for Chaos, and five novels for younger readers, all from Delacorte. Ms. Schumacher lives in St. Paul and is a faculty member in the Creative Writing Program and the Department of English at the University of Minnesota. Why Aren’t You Playing … Outside?